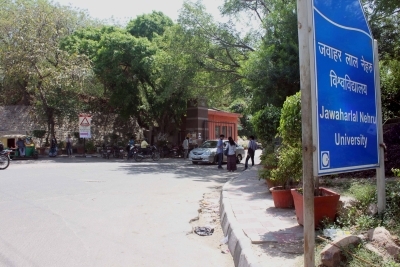 New Delhi Sep 15 (IANS) The counting for Jawaharlal Nehru University Students Union (JNUSU) polls started on Saturday evening after more than 12 hours of interruption caused by some people belonging to a political group contending for the top posts who had barged into the counting centre. The Election Committee (EC) assigned the task of conducting polls said the counting resumed after the Grievance Redressal Committee appointed an observer -- who happens to be a JNU Professor -- to be present during the counting. Earlier the counting was stopped at around 4 a.m on Saturday when some Akhil Bharatiya Vidyarthi Parishad (ABVP) activists insisted on entering the counting centre and a demanded a recounting of votes accusing the EC of colluding with the Left groups and keeping them deliberately out. The EC in its turn said that announcements were made for the candidates agents to join the counting at the centre as per rules but they cannot join the process once the ballot box seals are broken. The polling for the annual union elections was held on Friday in which nearly 70 per cent students exercised their franchise to elect their President Vice President General Secretary and Joint Secretary.